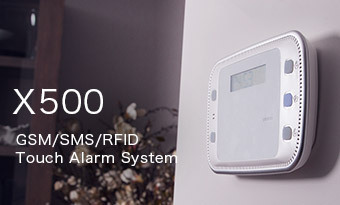 The W100 is a dual-network, Wi-Fi/PSTN friendly alarm system, with very simple wireless setup and no mechanical keys to wear out. Simply plug in a PSTN landline, follow easy setup steps via Wi-Fi, and voila your house is protected. You can then control the entire system via smartphone app commands, and when an alarm is triggered, preprogrammed numbers will get a notification call or a push message. W100i bundle kit is with one more HD WiFi camera than standard alarm kit. It offers you a sense of security that is easily visible and palpable. In the unfortunate event of a break-in, gas leak, fire or flooding, not only will you get an App notification in real time, you will also be able to look in on the scene to determine the proper course of action to take. No matter you are at work, on trip or on holiday, you can have full remote control and monitor of your home. The L020 is ready to go as soon as you connect it to your existing LAN. Add wireless sensors and accessories to the system directly on your smartphone app anytime as you wish, as your security or smart home needs evolve. smanos L020 is ideal for residences, SOHOs and small shops. The W020 is ready to go as soon as you connect it to your WiFi router. Add wireless sensors and accessories to the system directly on your smartphone app anytime as you wish, as your security or smart home needs evolve. smanos W020 is ideal for residences, SOHOs and small shops. W020i bundle kit is with one more HD WiFi camera than standard alarm kit. It offers you a sense of security that is easily visible and palpable. In the unfortunate event of a break-in, gas leak, fire or flooding, not only will you get an App notification in real time, you will also be able to look in on the scene to determine the proper course of action to take. 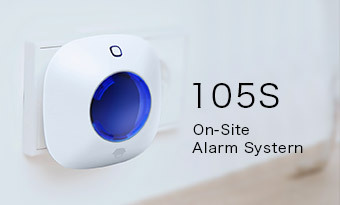 No matter you are at work, on trip or on holiday, you can have full remote control and monitor of your home.